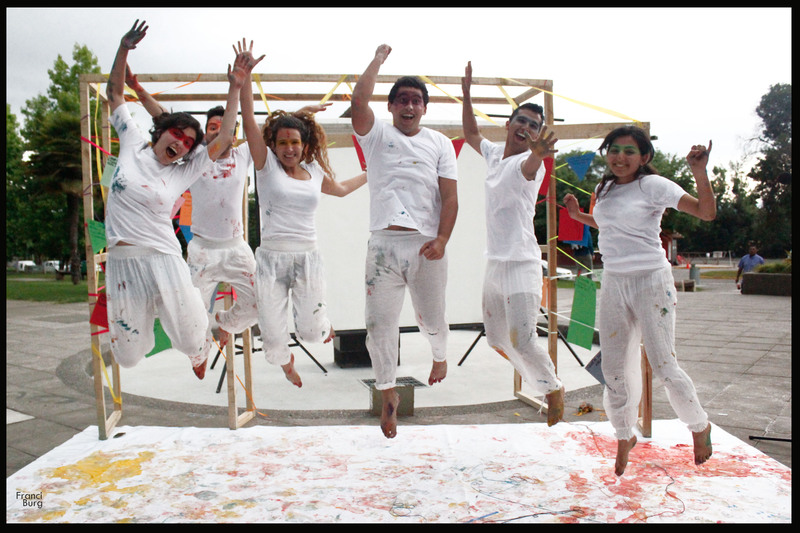 The multilingual theater workshop Talca Players was an extracurricular activity I facilitated for Chilean and foreign students at the University of Talca’s Language Program during the 2014 academic year. We devised an original theatre piece, incorporating the different languages the participants spoke and studied (Spanish, English and Portuguese). In a creative, playful dialogue, they reenacted real cultural encounters they had experienced, the different challenges they faced, and their hopes for where speaking a foreign language would lead. As a result, participants expressed themselves without the pressure of textbook accuracy and improved their fluidity, spontaneity and self confidence as multilingual communicators. The final performance was presented on the university campus in Talca, Chile in November 2014.